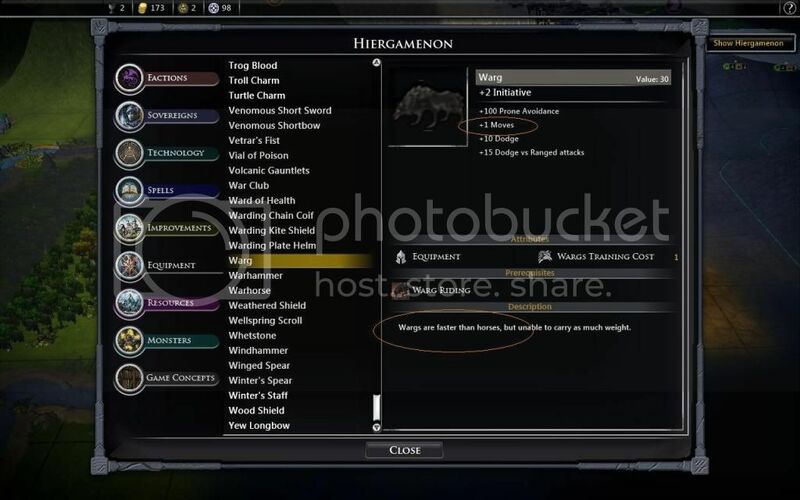 Wargs are slower than horses. I believe this may actually refer to the initiative bonus, which is greater than what horses get (or, it used to be, anyways - I'm not certain this is still true). You are right. Wargs give an initiative bonus, but horses do not. That is why I always have my archers on Wargs, while my cavalry is always on horses (to take advantage of the weight and tactical movement bonuses).